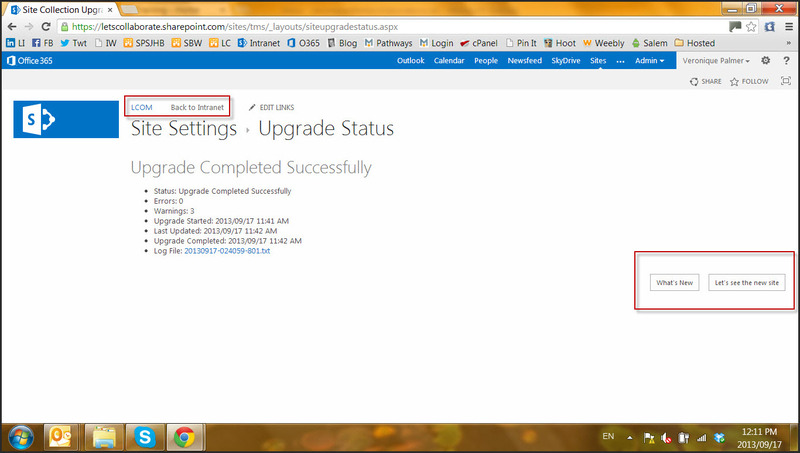 If you’re on Office 365, you will be upgraded sooner or later. Microsoft say they have completed 85% of their Office 365 clients. Ours wasn’t a great success unfortunately; we are having a lot of issues on our intranet post-upgrade. 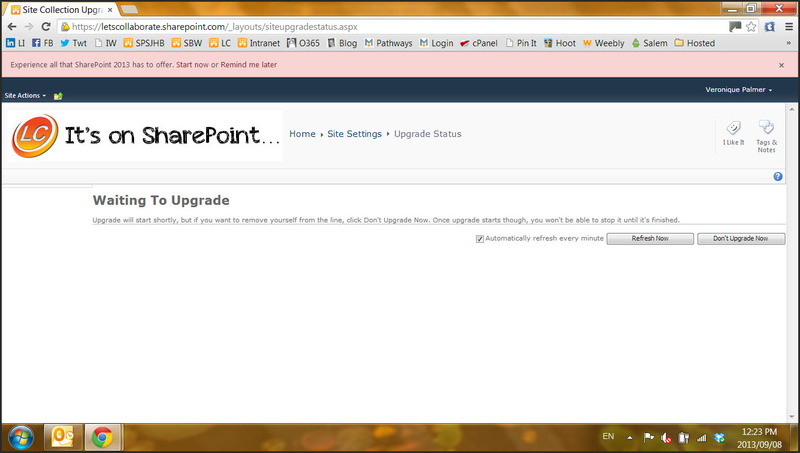 Soon as they’re resolved I’ll blog what went wrong and how to fix it. Once you’re scheduled, you’ll get a mail saying you’re due to be upgraded. 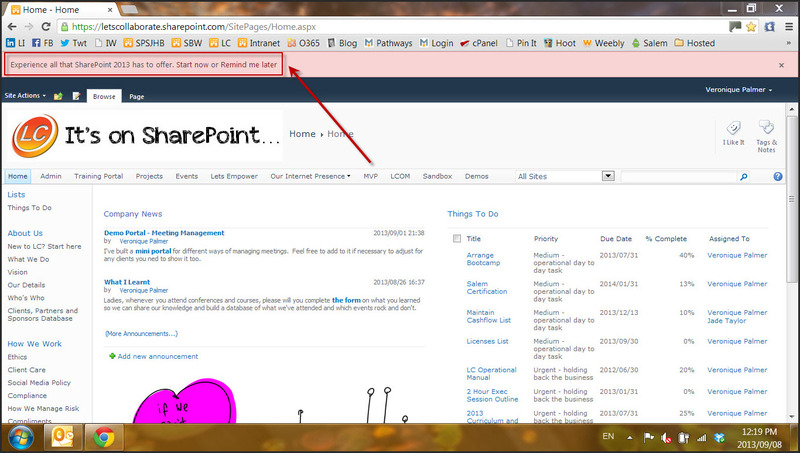 Then when you go to your site, administrators will see a pink bar on top. Click on Start Now when you’re ready. You can preview what’s coming or go ahead. Then the waiting starts. You can carry on working while this runs in the background. The size of the site collection will determine how long it takes. Our main intranet took hours and hours while the smaller sites took a couple of minutes. When it’s complete, you’ll get a report confirming it. You can then go to the site either using the navigation or the links on the bottom right. And that’s that. 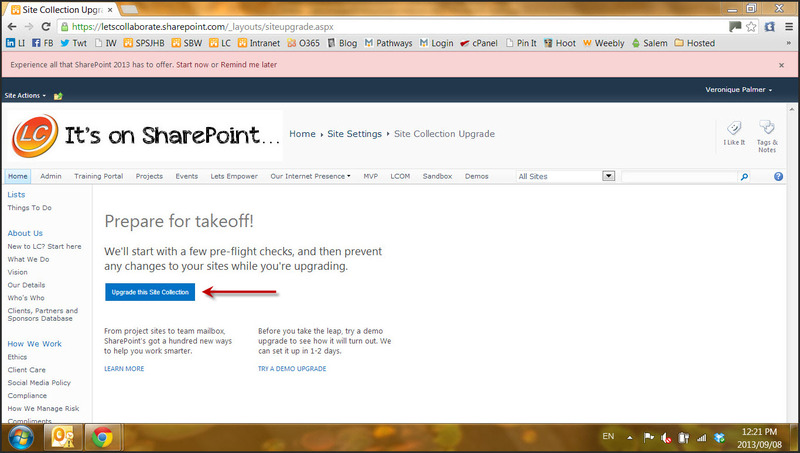 You can upgrade your site collections on demand. We leave some on 2010 to support our clients still on that version, and use 2013 for the rest. Here’s what our main page looked like pre and post the upgrade. We just changed the theme from blue to orange.